The global market for orthodontic supplies is primarily driven by factors such as growing number of patients with malocclusions, increasing trend of cosmetic dentistry, tooth decay or tooth loss, jaw diseases, and jaw pain, increasing awareness among the consumers regarding the availability of advanced orthodontic treatments, and increasing disposable income of the expanding population of middle-class. On the other hand, unfavorable reimbursement policies, apathy towards dental care, high cost of advanced treatments, complications pertaining to the orthodontic treatments, and limited insurance coverage for orthodontic treatments are a few factors challenging the global orthodontic supplies market from achieving its true potential. Nevertheless, the vendors operating in this market will gain new opportunities in the emerging market in Asia Pacific, which resides nearly the half of the world’s population and has high unmet need for orthodontic treatment, and increasing demand from aesthetic orthodontic treatment among adults and teenagers. This report on the global orthodontic supplies market has been prepared to act as dependable business tool for the stakeholders of this market such as orthodontic product manufacturers, hospitals, orthodontic product suppliers and distributors, research laboratories, orthodontic clinics, and market research and consultancy firms. 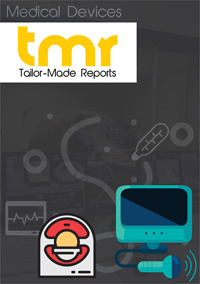 The report provides in-depth assessment of the driving and restraining factors, catches the latest trends, segments the market into lucrative aspects, highlights most profitable regions, and profiles a number of vendors in order to gauge the competitive landscape. The world orthodontic supplies market is looking forward for a steadfast expansion with the rise of digital orthodontics that is currently boosting patient confidence and benefiting the outcomes of orthodontic treatment. The traditional forms of orthodontic treatment are challenged by invisible braces and clear aligners. Cosmetic orthodontics is inching toward a vertical advancement on the back of the increasing consciousness about appearance and need for its maintenance. Young adults are heavily demanding innovations in aesthetic and unique dental treatments. The global orthodontic supplies market could be classified according to various parameters such as archwire, removable and fixed braces, anchorage, ligature, and patient. With a customized analysis of this potential segmentation, report purchasers can gain a decisive insight into the world market. The tailor-made approach of the analysts at TMR Research has made it possible for business players to fix their eyes on a tangible growth in the global orthodontic supplies market and make practicable advancements in the right direction. The worldwide market for orthodontic supplies is forecasted to run its advancement on the steep rise in the number of patients suffering from jaw pain, tooth loss or decay, jaw diseases, and malocclusion. There has also been a striking advancement in the technology used for orthodontic treatments. As a result, a wealth of technologically sophisticated orthodontic products have been introduced in the global orthodontic supplies market. With the furtherance in orthodontic technology, a colossal number of patients are becoming aware of the new products introduced. This could remarkably help the global market to win strong attention amongst consumers. A large focus on orthodontic supplies could also be ascribed to the broadening middle-income group and swelling disposable income of emerging nations. However, the influx of cheap China-made products, high-priced modern treatments, confined insurance coverage, and inauspicious reimbursement schemes could rein in the progress of the world orthodontic supplies market. Having that mentioned, vendors in the global market can score favorable opportunities with the flourishing demand by adults and teenagers to get access to aesthetic treatments. The countries listed under Rest of World and Asia Pacific are expected to present themselves as fertile grounds for more opportunities to crop up in the market. Amidst the presence of the top geographies of the orthodontic supplies market, North America and Asia Pacific are anticipated to outshine while riding on their individual drivers. North America, for instance, is predicted to bet the bottom dollar to good effect on the incrementing worries about facial aesthetics. As the regional population is provided with more counts of orthodontic treatment, the North America market is envisaged to gain traction over other regions forecasted. Likewise, the entry of furthered orthodontic treatments and products is projected to boost the market in North America. The higher CAGR growth of Asia Pacific could be assignable to the mounting attention received by its developing economies through the augmenting interest of international dental and orthodontic firms. The other factors deemed responsible for the development of the Asia Pacific market are more or less similar to those of North America. The markets in Europe and Rest of the World are prognosticated to catch up their growth but at a gradual pace. A significant estimate of the top industry players are envisioned to rest their maturation in the international orthodontic supplies market through geographical expansions, product enhancements, and acquisitions and mergers. TP Orthodontics, Inc., Dentaurum GmbH & Co. KG, G&H Orthodontics, Inc., Rocky Mountain Orthodontics, Inc., American Orthodontics, DENTSPLY International, Inc., Henry Schein, Inc., Danaher Corporation, Align Technology Inc., and 3M Company have managed to keep their heads up amidst the challenges to come forth as prominent players in the global market.